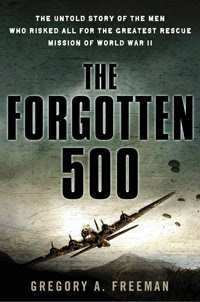 Mike Papich of California has discovered that the discount bookseller Edward R. Hamilton has listed The Forgotten 500: The Untold Story of the Men Who Risked All for the Greatest Rescue Mission of World War II by Gregory A. Freeman as one of the newest arrivals. The book has been discounted to only $5.95. 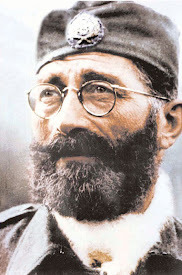 Papich thinks it’s up to all of us Serbs to make the story go further. 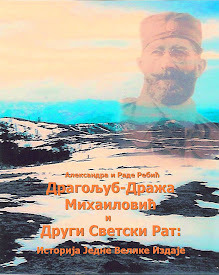 “I propose that we inform Serbs about this book sale. We should buy all of these books and place them in Public Libraries to help keep the momentum we gained from Freeman’s book going.” So far, he has received positive responses from library personnel and is very encouraged by this. 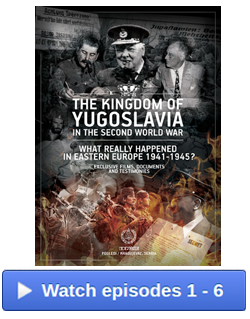 He thinks Serbian young people and their friends could be positively influenced by reading this book and keeping the great Halyard Mission story alive, and he has begun a campaign to do just that. “The book at $5.95 has a postage and handling fee of $3.50 whether you order just one or a dozen!” he says. 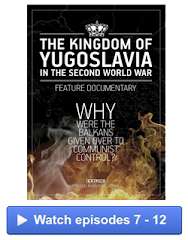 He believes that Freeman has done the Serbs a great service in recognizing and recording the incredible deeds of the Serbs during WWII as part of the Halyard Mission. 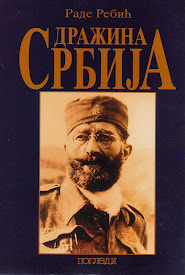 And he thinks we Serbs should “rescue” the book. 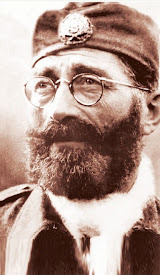 “I’d like to see a commando squad of Serbs and their friends rescue that book and propel it into the limelight.” Papich says a “Task Force” of capable Serbs can brain storm and implement a rescue plan. He has already ordered ten books to give to libraries and other institutions. His proposal includes an effort to inform and alert various veteran organizations, especially Army Air Force groups and present Air Corps personnel about the presence of the book and its content and to donate the book to libraries and to wounded military veterans. 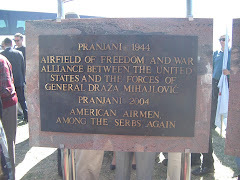 He particularly proposes the donation of one of the books to the Colorado Air Force Academy where there is a picture of one of our fellow Serbs, Medal of Honor winner Lance Sijan. Overall, he wants to get more mileage for The Forgotten 500. “Why hasn’t Hollywood picked up on this book?” he asks. Papich has suggested a book report contest for young readers 18 years and younger. “I will donate $100 to the best book report written on The Forgotten 500.” offers Papich, hoping that others will be encouraged to contribute as well. Since first announcing this book report contest, additional offers of donations to the winners have come in! 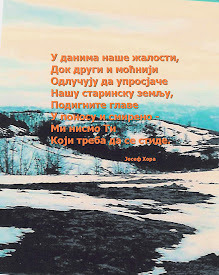 Among those who have offered to contribute to the contest reward is Branko Terzic, U.S. Delegate of HRH Crown Prince Alexander, who is donating $200 to be dispersed among the first, second and third prize winners. Another contributor is Milana (“Mim”) Bizic of Pennsylvania , who is contributing $100, also to be dispersed between the top three winners of The Forgotten 500 Book Report contest. Any and all additional donations, regardless of the amount, will be very much appreciated. A final list of the names of the donators and the total amount of the prize winnings will be announced in the letter that will go out announcing the winners of this contest along with their book reports for all to see! Therefore, if you are a young person who is interested in entering this contest, the final prize will actually be a great surprise! A heartfelt ‘Thank You’ to those who have already expressed support for this effort and to those who will join in to make this a success. Please contact me at ravnagora@hotmail.com if you are interested in donating to this effort and we will let you know where the donations need to be sent. Also, please do your best to encourage the young people in your families, your communities, and your parishes to read this book and write up a report and send it in. Mike Papich is a native of Windsor , Ontario . He lives in California and is a retired aerospace electrical engineer. 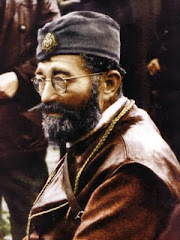 He was one of the early presidents of the St. Petka Church in San Marcos , California . In 1976, he hosted His Royal Highness Crown Prince Alexander during the 200th anniversary there. Also honored at the banquet was Major Richard Felman, one of the over 500 rescued American airmen about whom the book was written. “It’s unfortunate that he is no longer alive as he would have promoted The Forgotten 500 with fervor,” says Papich. I have published a review of Mr. Freeman’s book that can be found on the Web and am supporting Mr. Papich’s efforts. 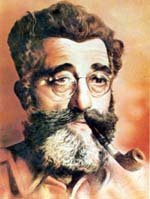 All book reports to be considered for the contest should be sent to me at ravnagora@hotmail.com. 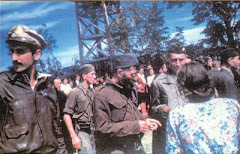 Apart from the financial rewards, the winner’s reports and the “runner up” reports that finish in the “Top Five” will be posted on my three websites on the internet dedicated to recognizing and celebrating Serbian heroes, among them General Draza Mihailovich, who was ultimately responsible for the success of the Halyard Mission Rescue Operation and the saving of the American airmen whose story shines in The Forgotten 500. The top five book reports will also be forwarded to Mr. Gregory Freeman, author of The Forgotten 500, and he has kindly offered to provide a personalized, signed first edition of the book to the contest winner. Writer must be 18 years old or younger. There is no limitation on length. Book Report needs to be written in the English language. Report needs to explain why The Forgotten 500 by Gregory Freeman is an important book that should not be ‘forgotten’. The deadline for the book report entries is Friday May 15, 2009. Please send them in as soon as possible. The Announcement of the Winners will be made on Vidovdan, Sunday, June 28, 2009. Discounted copies of The Forgotten 500 are also available on Amazon.com for an excellent price as well. If one source runs out of the available discounted books, please search for another, as there are various sources that offer books at a discounted price. It would be fantastic if we could inspire the publisher to consider a second printing of The Forgotten 500 ! We look forward to hearing from you and sincerely hope that you will do what you can to buy up the remaining copies of The Forgotten 500 and distribute them as a gift to an institution or individual that you feel will appreciate its value.